This frame is the most beautiful and simple frame to use for so many types of art. I have framed maps,watercolors as well as cut paper pieces. It is simple,yet elegant while framing the piece and allowing it to be the focal point. I was very pleased with this purchase. It was exactly what I needed to frame my photograph. The frame, plex, and foam core arrived in perfect condition. I would highly recommend. Plain and Simple modern look. Excellent price. I wanted something simple that would make the painting itself the star of the display. It is an elegant and simple frame which does not detract from the art work. 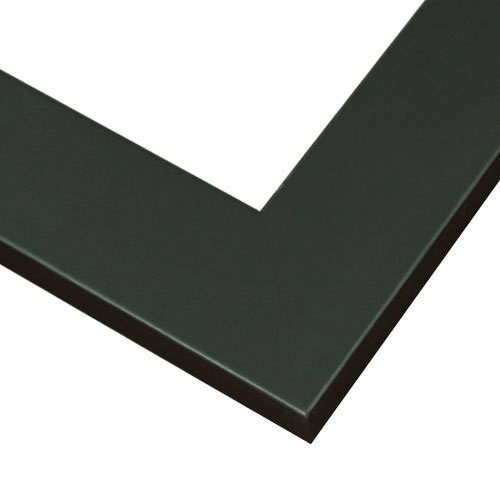 Does mat Color: Raven Black (SKU: PM8989) have a black core or a white core? BEST ANSWER: Hi Lisa. This mat color has a white core. Thank you!